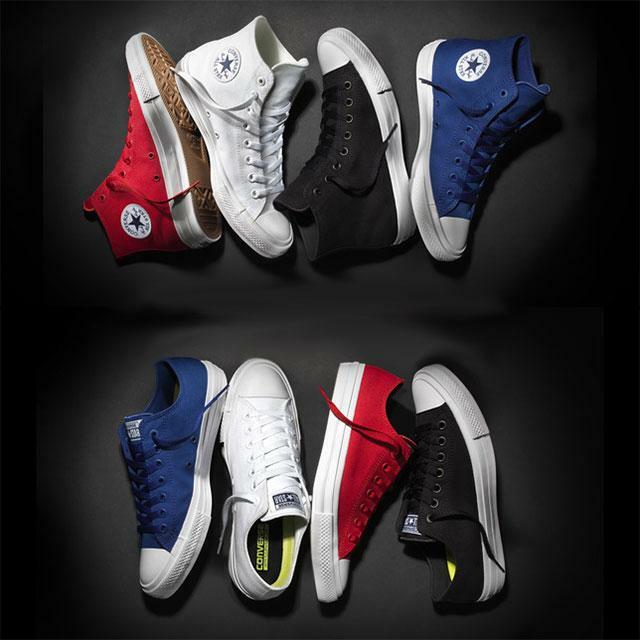 After 98 years, the iconic Converse Chuck Taylor All Star gets a sequel with updated cushioning and tech. While Chucks are adored by many, the shoe is outdated in terms of materials and the overall comfort while wearing the shoe. Cue the Nike technologies, particularly a Lunarlon insole. This sock-liner provides a mushy feel for step in comfort and will provide some responsiveness as well in case you perform impact moves like a jump. The minimalist upper also gets a boost, with a padded tongue and micro suede used on the liner to bump up the comfort level of the upper. The shoes run a half size large so make sure to go down .5 when purchasing. I’m almost positive more colorways will come out soon. Just heads up. Converse is having a 25% off sale plus free shipping. Enter the promo code “summer25”. thanks! these are dope. But I do have one question left. How’s the fit? I know it’s half size large length wise but is it a bit on the narrow side width wise?